Easter will be here very shortly. This year my daughter has helped me create a list of what she thinks would be the best gifts for the Easter bunny to give her. Of course there will be the usual chocolate and other goodies hidden for the kids to find but I do like to give each of them one bigger gift, or a couple of smaller toys for them to find. 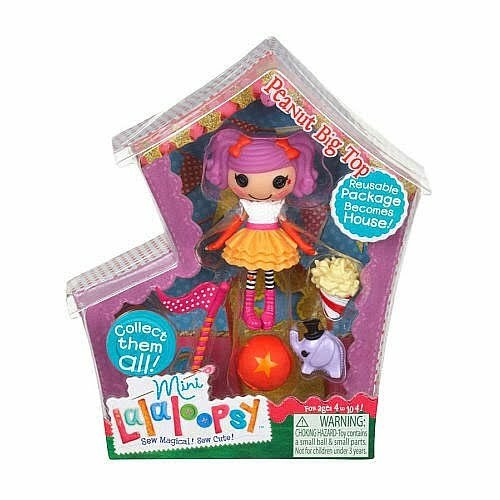 She has been asking for a Lalaloopsy doll since before Christmas. I am not so sure what the appeal is but she thinks they are great. Yes they are bright and different looking, very creative. She seems to like Jewel Sparkles with the Pet Pink Cat the most. I have found Lalaloopsy dolls costing $29.99 (toysrus.ca) up to $70.00 depending where you look. 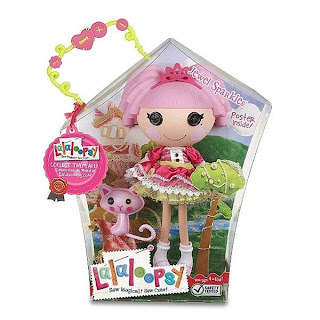 The Lalaloopsy mini dolls are $6.99 (Toysrus.ca). I can see a mini finding its way into her Easter basket. It is cute and not too expensive. Yet another toy she has wanted since before Christmas. Most of her school friends have at least one of the Monster High dolls and brings them to school all the time. I think my daughter feels left out because they have them and she does not. She has never seen the show so her only contact with the dolls has been commercials and her friends. She wants the Clawdeen Wolf one. I would have thought Cleo de Nile because she is like a princess or Draculaura because she has a lot of pink. No, she really likes Clawdeen Wolf. I have found Clawdeen Wolf from $16.99 to $19.99 online. Furreal friends she has been collecting for at least a year. She has dogs, cats and a racing bunny with track. It comes as no surprise she would like more. 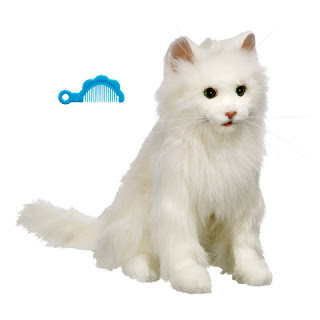 She has been asking about the furreal friends Kitty Cat ever since she saw it in a store. It is around $50. 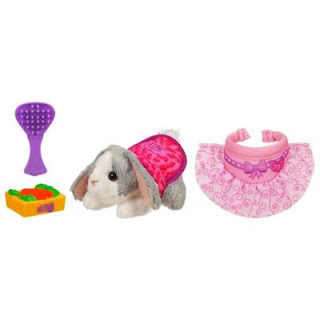 She also loves the furreal friends snuggimals dress ‘n snuggle, they even have a bunny one that is around $17. I can usually find small furreal friends between $7 and $13 at Walmart. These were big around Christmas. She has a couple from Christmas but she would like a puppy just like her friends at school has. They are very popular right now with all the girls in her class. I found them for about $11. What she has been getting is the baby Zhu Zhu pets. They don’t require batteries, they just have a little ball on the bottom that the role on. They come with accessories, are small and usually under $7. 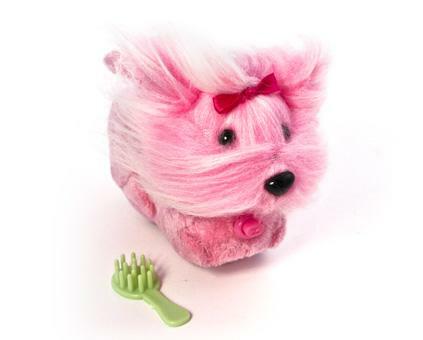 There are many Zhu Zhu pet accessories she would love as well. 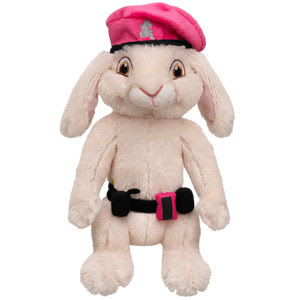 Build a bear is always a hit with my kids and they have bunnies. 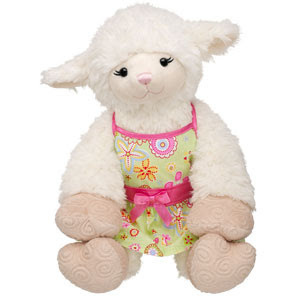 A couple of build a bears stood out to me, the lamb and a bunny. I think that they are cute. However, the real charm of build a bear is that the kids get to build the bear and bring it to life. It is not the same to be given a build a bear as it is to make your own. I would put a build a bear gift certificate in her basket before I would give her an actual “made” build a bear. The clothing on the other hand has unlimited possibilities. She already has a build a bear, so clothing for that build a bear is a great option. The clothing can start off as little as $4 but is usually in the $10 to $20 range. It would be easy to pick up a couple of small pieces or an entire outfit for Easter. My daughter would play with my son’s Lego but never seemed to get into like he does. 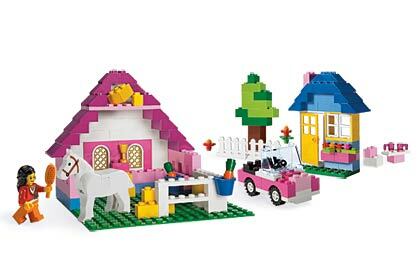 Then for her birthday she was given a “girls” Lego set. 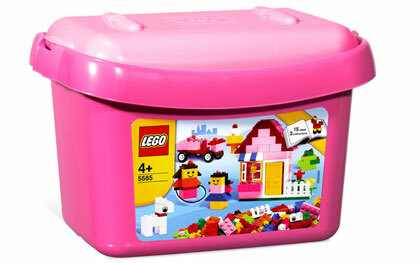 The Lego was pink, white and other light colours. The figure was a girl and she could make pets, there were stickers for eyes, flowers and other cool things. Suddenly she was playing Lego all the time, building things and talking about getting more “girl” Lego. I think part of the fun was that I was right there with her, playing and building. 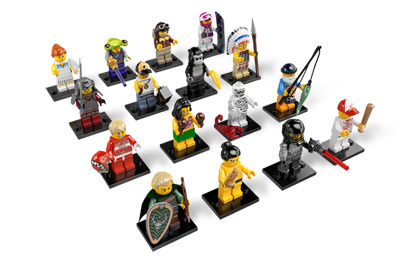 There is some wonderful “girl” Lego out there, any and all of it she would like. She would love the pink Lego box with 219 pieces for $21.99 or the large pink Lego box for $39.99, that one even has a horse. 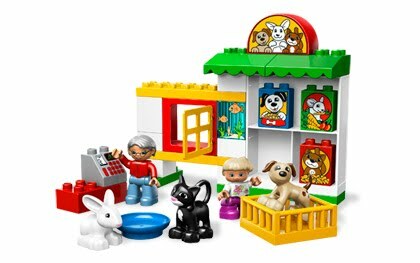 I really like the Lego Ville Pet Shop I found for $29.99. It has a girl figure and several pets and it is a little shop. Very cool. I do know she also likes the Mystery Lego Minifigure bags. They are only $2.99 each and it is fun to see what you get. Both my kids are starting to collect them. However they do have an agreement that any girl figures my daughter gets.